Hand #75: Art Papazyan raises to 90,000 from the cutoff and wins. Hand #76: Papazyan again raises to 90,000 from the hijack, and Grigoriy Shvarts calls from the cutoff. The flop comes . Papazyan bets 75,000 and Shvarts folds. Hand #77: Joshua Gordon bets 125,000 from the small blind and wins. Hand #78: Timothy Chang raises and takes for 90,000 from the cutoff. 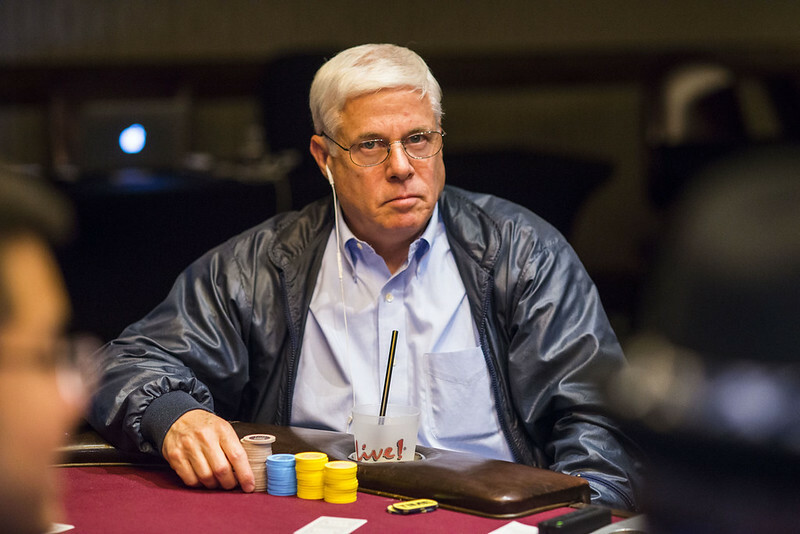 Hand #79: Randal Heeb raises to 110,000 from middle position, Tom Reynolds uses a time bank chip in the small blind before shoving for 1,575,000, and when it folds back to Heeb he calls. Reynolds has and is ahead of Heeb’s . The board comes nine-high — — and Reynolds earns the double.